If you are in a part of the world that is freezing cold right now, I am sure you are ready to think about summer, and more importantly: summer festivals! Summer festivals are an amazing opportunity for students to build a network with other musicians, learn from new teachers, engage in performance opportunities, and have an outlet to really focus and improve their playing. I was fortunate to attend summer festivals for eight summers, and all eight were uniquely life changing. When finding a festival for yourself or your student, be sure to look at all of the options and pick what matters the most: faculty, length, location, recreation, application deadlines, cost, ensemble types, etc. Summer festivals are located in some of the most beautiful places in the world: Aspen, Lucerne, and Santa Barbara to name a few. 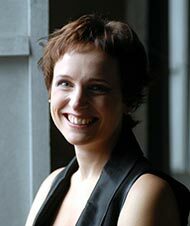 If you need lists of summer programs, here are two great websites that I often reference: classical.net and peabody.jhu.edu. 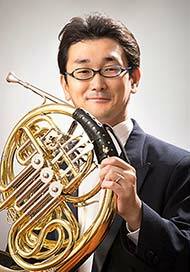 In addition, the International Horn Symposium is a great summer option. 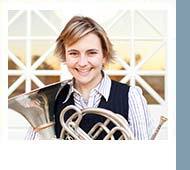 For more information about the 49th International Horn Symposium in Natal, Brazil (June 26-30, 2017) visit the website. Check out all the awesome information about festivals from: Debra Sherrill, Tod Bowermaster, Pam Mesite, Devin Cobleigh-Morrison, Hsueh Chen Yuan, and Yuta Ohno. Also, this newsletter features a great pedagogy column by Professor Sibylle Mahni. 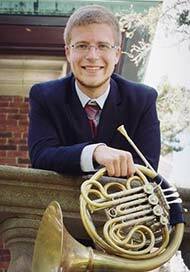 Daytona Beach Horn Ensemble Workshop - Horncamps! My first HORNCAMPS! experience was during the summer of 2015. 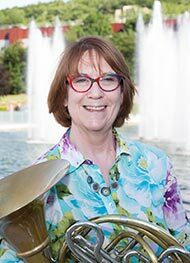 My friend Phil Hooks suggested I consider attending because Michelle Stebleton was on faculty and I had first met her when she presented a masterclass to Phil's studio and again when we attended Penn State Horn Day. Days are filled with warm-ups, group lessons, ensemble coaching, group rehearsal, and performances. The schedule keeps you busy, but there is still time to get to know other horn players during breaks and meals. In addition to performing at various venues, field trips provide a break from playing and a chance to get to know fellow participants and faculty in a less structured setting. Performance venues vary from year to year, but both summers I attended, the group performed at the Daytona Tortugas baseball game (though the game was rained out in 2016 after we had arrived and we didn't get a chance to perform the National Anthem) and the Ponce De Leon Island Inlet Lighthouse. The faculty is a balanced mix of backgrounds and experience, and the atmosphere is collegial and supportive. Everyone is encouraged to improve within the context of their current abilities. I especially like the mix of ages and experience, and campers each learn from one another, as well as from instructors. The faculty strives to make each year better and incorporates suggested improvements. The AMTRAK Auto Train northern terminus is in Lorton, Virginia, about fifteen minutes from my house and the southern terminus in Sanford, Florida is about forty-five minutes from Daytona Beach. We took advantage of the convenient locations to pack our car with everything we needed for the week and drive our own vehicle in Florida without the long drive to and from Florida. From July to August in 2016, I was fortunate enough to attend the Marrowstone Music Festival as both a counselor and participant. Upon arrival, my first impressions were good - the rooms were typical dorms with communal bathrooms on each floor, the facilities were nice and spacious, and the food was good with plenty to offer for each person’s dietary needs. The audition process was smooth, straightforward and well organized. The only thing I found stressful was getting everyone moved in (I was a counselor) and then having to play an audition soon after. Even if you aren’t a counselor, you are still looking at a flight to Seattle/Tacoma, then a 2-hour shuttle ride, taxi to the festival, and FINALLY moving in then playing an audition. This isn’t an ideal situation; however, I do feel this is part of a growing experience in taking auditions, as auditions are all a bit of a wild card. The music is always balanced, with plenty of opportunities for each part. There are two orchestras, a chamber orchestra, and multiple chamber groups. I was fortunate to play Tchaikovsky’s Francesa di Rimini, Strauss’s Don Juan, Janacek’s Sinfonietta, Hindemith’s Symphonic Metamorphosis, and Respighi’s Trittico Boticelliano in chamber/full orchestra, as well as to delve into the Schubert Octet D.803 and Beethoven’s Sextet in E-flat major, Op.81b with my best friend, Benjamin Bacni, during the two-week festival. Other works performed by my colleagues included Bernstein’s On the Waterfront, the Dvorak Wind Serenade, Wagner’s Siegfried Idyll, various staple wind / brass quintets, etc. Additionally, Mr. Clevenger and Dr. Tung offered two master classes and a mock audition, with instant feedback and accessible materials. These professors offered their time graciously to anyone and everyone. Marrowstone is extremely lucky to have them as part of their team. Faculty recitals were brilliant, with concise programs over a wide array of musical genres. Being a horn player, my favorite faculty performance was the Poulenc Sextet. Wow! For a favorite performance that I was involved in, this was hands-down the Beethoven Sextet. After studying with Mr. Clevenger for 4 years at CCPA, having him coach this work was a dream come true. Additionally, playing the work with my best friend, Ben, someone I look up to immensely, is something I will never forget. Das Mendelssohn-Festival findet in der schönen Stadt Hamburg statt. Während 10 Tagen habe ich mit Prof. Ab Koster, den Kollegen und dem Auryn Streichquartett eine ganz tolle Zusammenarbeit erlebt. Jeden Tag haben wir mit Prof. Koster Naturhorn, Orchesterstellen, Probespiel-Training und Solostücke studiert. Nach dem Unterricht haben wir Kaffee getrunken und die Musik diskutiert. Abends könnte man schöne Konzerte anhören, die die Professoren gespielt haben. Ich habe beim Unterricht und von den Konzerten viel gelernt. Ich hatte auch die Ehre und Glück, dass ich mit Prof. Koster und dem Auryn-Streichquartett das Beethoven-Hornsextett im Konzert spielen dürfte. Das war eine große Erfahrung für mich. Es war toll, mit Profi-Leute, zu musizieren. Bis jetzt vermisse ich immer noch die schöne Sommerzeit, die ich in Hamburg hatte. Hsueh Chen Yuan war 2015 beim Mendelssohn-Festival Hamburg und spielt zur Zeit 3. Horn im Sinfonieorchester Guangzhou in China. 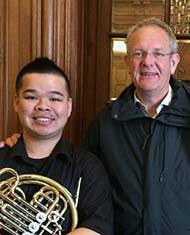 Mit großer Freude komme ich der Bitte meines Kollegen Prof. Ab Koster nach und schreibe einen Beitrag für die International Horn Society! Wenn ich einen Studenten kennenlerne, achte ich auf mehrere Dinge. Natürlich ist es mir wichtig, wie weit der Student instrumentaltechnisch ist. Am schönsten für beide Beteiligten (Student und Lehrer) ist es natürlich, wenn schon gute und solide Grundlagen vorhanden sind: damit meine ich die Atemtechnik, den Ansatz und auch sonstige technische Anforderungen wie Doppelzunge, Lippentriller und und und, die alle nötig sind, um das Instrument gut zu beherrschen. Vertrauensverhältnis entstehen kann? Versteht er meine Sprache? Und damit meine ich nicht die gesprochene Sprache, sondern ein tieferes Verständnis zwischen zwei Menschen. Der Student begibt sich in die Hände des Lehrers, und die Zusammenarbeit kann nur dann erfolgreich sein, der Student kann sich nur dann gut entwickeln, wenn er vertraut! Einerseits sich selbst (ganz wichtig!) und andererseits seinem Lehrer. Man könnte fast sagen, dass beide eine regelrechte Beziehung eingehen! Das erklärt vielleicht auch, warum der erfolgreichste und „beste“ Lehrer vielleicht nicht unbedingt für jeden Studenten passen kann. Deshalb ist es für mich sehr wichtig, möglichst schon vor einer Aufnahmeprüfung, bei der ich dann endgültig entscheide, ob die Zusammenarbeit stattfinden wird oder nicht, die Gelegenheit zu haben, den Studenten kennenzulernen - für mich, aber sicher genauso für ihn. ist ein echter Wille und auch die Fähigkeit da, sich musikalisch auszudrücken? Um den Beruf des Musikers auch auf Dauer mit Freude auszuüben ist es quasi lebenswichtig, eine Leidenschaft für die Musik zu haben. Damit meine ich, die Musik zu verstehen, zu lieben und auch das Bedürfnis zu haben, sich unbedingt musikalisch mitteilen zu wollen. Es liegt mir wirklich sehr am Herzen, nicht nur Hornisten auszubilden, die Musik machen können, sondern Musiker auszubilden, die Horn spielen können. Dieser Satz beinhaltet vieles für mich. Hier sei nur erwähnt, dass Musiker, die ein Blechblasinstrument spielen, nicht schon vorhandene negative Klischees über unsere Zunft unterstützen sollten, sondern denselben musikalischen Anspruch haben sollten wie die besten anderen Musiker auch. 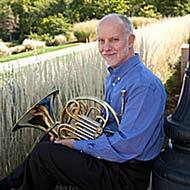 I have been Third Horn in the Sun Valley Summer Symphony for the last 21 years, and it's right around these frigid, grey January days in St. Louis that I begin daydreaming of sunny, blue-sky days in the Idaho mountains, days filled with gorgeous music and good times spent with dear friends. The Sun Valley Summer Symphony started small in 1985, with 22 musicians, but has grown into one of the finest orchestral festivals in the country, with over 100 musicians performing a vast repertoire over the last week of July and the first two-and-a-half weeks of August. We perform 3-4 concerts per week, with a unique schedule: one afternoon rehearsal followed by the evening concert at 6:30 PM. Everyone has to be well-prepared and on their toes! Fortunately it's a wonderful assemblage of musicians from the best American orchestras. It's a great ensemble, conducted by Alasdair Neale, who does a fantastic job managing all of this with such limited rehearsal time. For the past 6 summers, I have been invited to perform with the St. Augustine Music Festival in St. Augustine, Florida, USA. The SAMF was founded in 2007 by violist Jorge A. Peña and cellist Jin Kim-Peña. 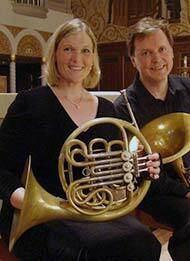 Chamber music concerts are held each June in St. Augustine at the historic Cathedral Basilica. All concerts are free of charge and are open to the general public. SAMF is a special place for me. I have so many wonderful memories working with amazing musicians whom I am honored to call friends and colleagues. Jorge and Jin create a family atmosphere with an international flare, bringing in musicians from around the world to participate. Three highlight performances for me were performing the Bach-Brandenburg Concerto #1, the Herzogenberg-Trio for oboe, horn and piano op.61 and the Spohr- Nonet. I also love that the SAMF supports new music. In 2015 in commemoration of St. Augustine's 450th Anniversary, the SAMF commissioned a work by Piotr Szewczyk titled the St. Augustine Suite as a gift to the city.